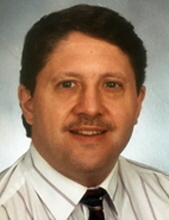 Steve L Holtz, 63, Green Bay, died unexpectedly at his residence. He was born March 7, 1955 to Roland and Shirley (Kostichka) Holtz. Steve graduated from the Algoma High School where he was very active all all sports. He then graduated from Lakeland College where he was inducted into the Football and Baseball Hall of Fame. Steve also earned his Eagle Scout Award. He was preceded in death by his dad Roland Holtz. There will be a Celebration of Steve's Life on Wed. May 23, 2018 from 4 PM until the time of the Memorial Service at 6 PM at the SCHINDERLE FUNERAL HOME, Algoma. To send flowers or a remembrance gift to the family of Steven Lee Holtz, please visit our Tribute Store. "Email Address" would like to share the life celebration of Steven Lee Holtz. Click on the "link" to go to share a favorite memory or leave a condolence message for the family.